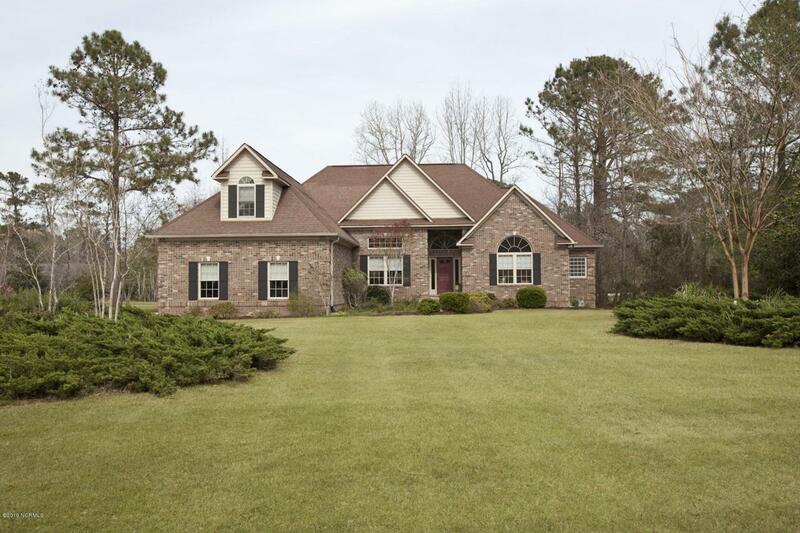 3 BR all brick home plus main floor office and oversized bonus with cathedral ceiling and skylights. 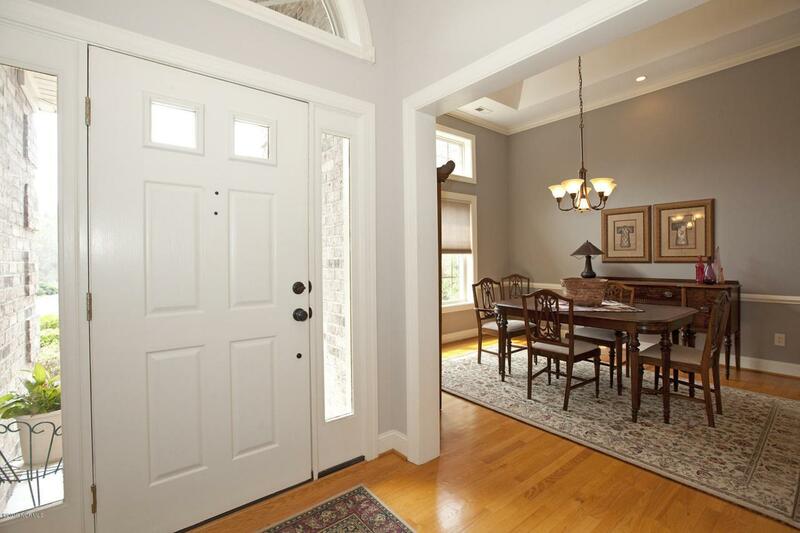 Custom built with attention to detail and located on the fourth green at Olde Point golf and Country Club. 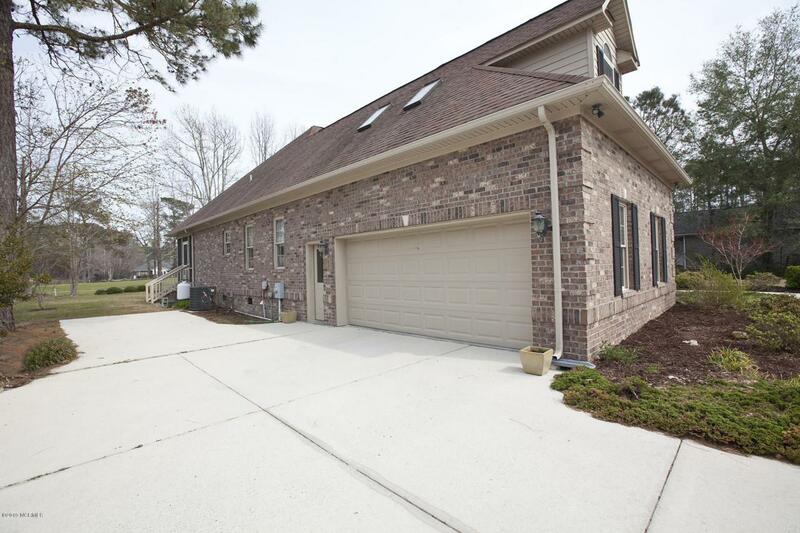 2935 Sq ft plus 2 large screen porches with concrete floors. Two car side entry garage with separate personnel door. 9' Ceilings. Site finished oak floors in living areas and wood staircase to the bonus room. Tile floors in kitchen and baths. Specious kitchen with wood cabinetry, hard surface counters and SS appliances. 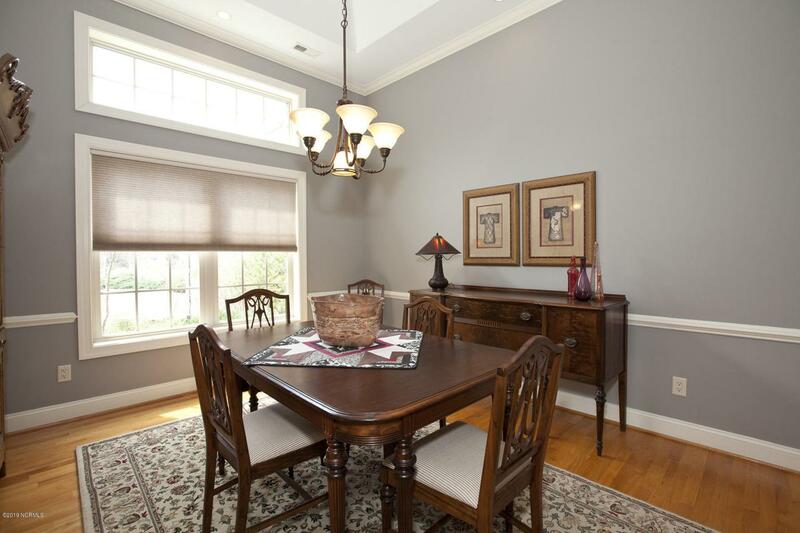 Formal dining room plus breakfast area and raised bar. Gas Fireplace. Irrigation system and great landscaping. Large master suite with double closets, double vanities, tiled shower, corner tub and separate water closet. Just minutes to Topsail Beaches and.Wilmington shopping. Golf, tennis and swimming available through Olde Point Golf and Country Club. Listing provided courtesy of Beverly B Femia of Bluecoast Realty Corporation.